I’m thrilled to share the news that I will be traveling to Asti province this week for a series of tastings of Barbera. I’ll be joined by a group of top English-language wine writers and wine-focused journalists and bloggers, including some that I know well and others that I’m looking forward to meeting and getting to know better. One of the things that I’m most exited about is a Master Class on Barbera d’Asti that will be led by acclaimed American wine writer and author Kerin O’Keefe, a senior editor for Wine Enthusiast magazine and one of the top wine writers working in the field today. Here on the blog, I’ve written repeatedly about how Barbera is one of the most misunderstood and maligned grapes in the world. The deeper I’ve dived into my research, the more I’ve discovered that Barbera enjoyed a glorious past — not just in Italy but in France and America as well. So there literally could be no music sweeter to my ears than knowing that I will be touring Barbera’s spiritual homeland with some of the best and brightest wine communicators and storytellers in the world. We’ll also have the opportunity to experience Barbera in its “natural habitat.” We’ll be visiting Nizza, where the newly created Nizza DOCG was recently launched. We’ll also have the opportunity to sit down and break bread with top Barbera growers and winemakers, getting to pair their wines with classic dishes — just the way they eat at home. Starting week after next, I’ll begin posting about my experiences, impressions, and tasting notes. and I’ll also be sharing those of my colleagues here on the blog as well. 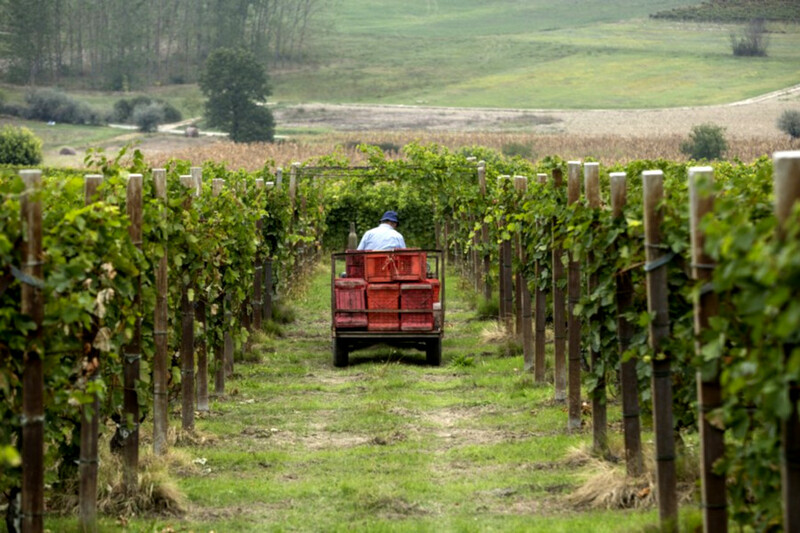 So buckle your seatbelts and get ready for some world-class blogging from the land of Barbera. Have a question, a comment? Want to collaborate in some way? Just have something nice to say?